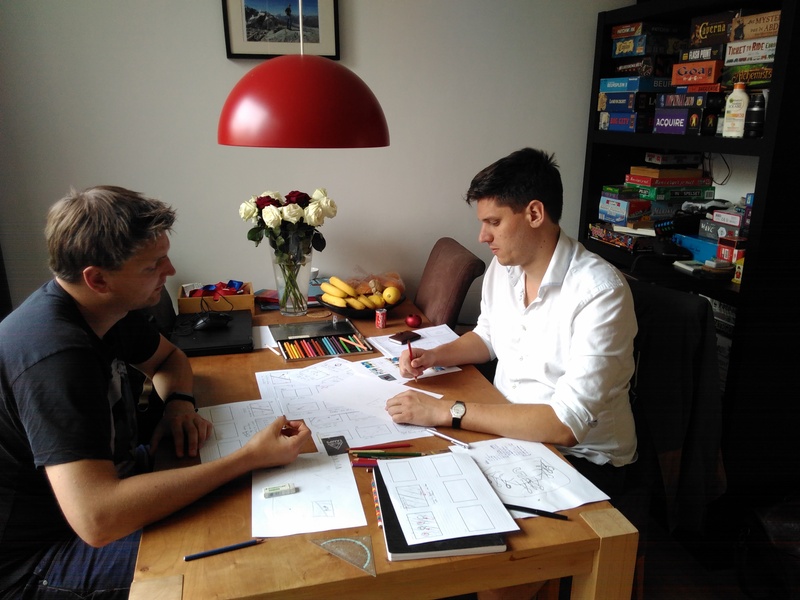 Two weeks ago Salko informed you about the start we made at the storyboard for our Kickstarter video. 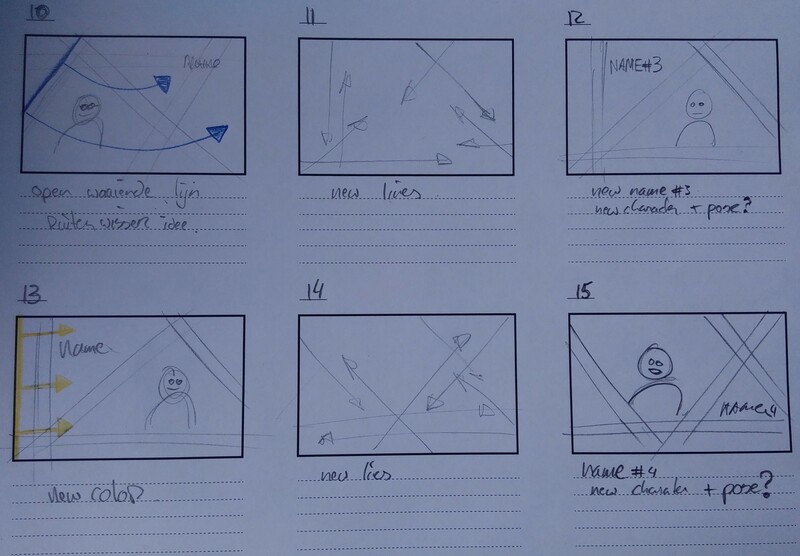 For the people that don’t know what a storyboard is: “A storyboard is a graphic organizer in the form of illustrations displayed in sequence for the purpose of pre-visualizing a motion picture, animation, motion graphic or interactive media sequence” (Wikipedia). So to do this properly we first have to know what we want to display in the video and the feeling we want to bring over to the audience. This is what we did last Friday. Today, we started illustrating these ideas into a sequence of illustrations. Each scene, each second, each frame has to be illustrated in order to make the actual animation or camera shoot less time consuming. As you can understand this is a creative process, that can go quick, or can take a lot of time. This day alone, we have seen both, with a productive morning and a-sort-of drawing block in the afternoon. This looks like the illustrations below. You can see that every frame is drawn out, they are not very clear yet, but they are good for our own reflection. The coming weeks we will continue with this, so that in the end, we have a 1 minute video. Which means a lot of frames, thinking, drawing, and creating. When we have more I will inform you about the progress we have made! ⟵Developer Diary #7 – It’s all about finances.